Despite the flood of headlines touting the demise of brick and mortar retail, retail is not dead and will live on. It is, however, evolving as are retail landlords in their approach on how to best fill their properties. With many traditional retailers slowing their expansion plans, shrinking their store size, and closing some of their locations, shopping center owners are increasingly focused on attracting business that are “internet resistant”. This is evident in both larger regional malls, and more traditional supermarket-anchored shopping centers. While construction of new strip centers has been well below average for several years, the shadow supply of available space hitting the market is far greater than the amount of new construction. According to a recent report from Green Street Advisors, while about 15 million square feet of new retail strip centers will be developed in 2017, approximate 42 million square feet of retail space will become available from store closings of Macy’s, Office Depot, Staples, Sears, and Sports Authority. Shopping center owners are increasingly turning to uses that they deem to be Internet resistant to fill this space. What are the most active Retail segments? In the traditional supermarket-anchored shopping centers, the most active retail segments include food, fitness, discount retail, and health-conscious concepts. The percentage of space occupied by restaurants has increased steadily over the past several years, with the number of new restaurant concepts increasing. Discount retailers are amongst the retailers opening the greatest number of stores with Dollar General and Dollar Tree expected to open 1,000 and 650 new stores respectively. T.J. Maxx, Ross, and Burlington are increasing store counts in 2017 as well. 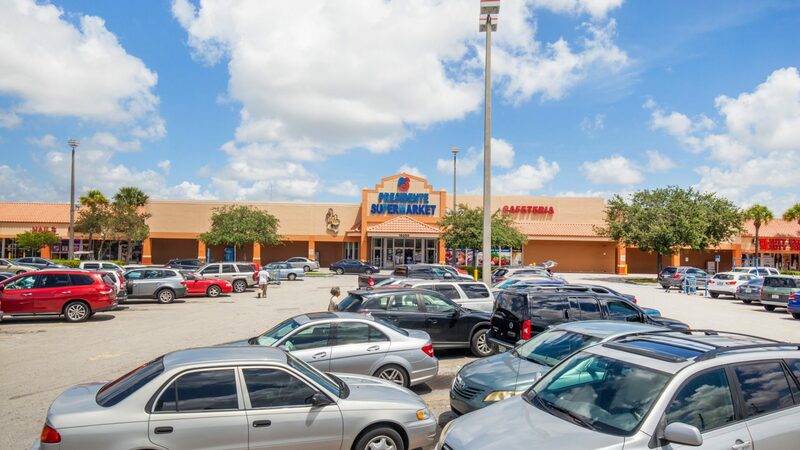 Supermarket-anchored shopping center landlords continue to focus on leasing smaller spaces to internet-resistant service uses such as barber shops, daycares, medical uses, dry cleaners, restaurants, insurance offices, salons, and cellular stores. David Simon, CEO of the Simon Property Group, states “We do probably have too many department stores in the mall business, but instead of looking at it as a concern, given that they paid no rent we think that’s a great opportunity for our redeveloping the mall to the next level”. As regional malls look to fill some of the boxes that are being vacated by department stores such as Sears, JC Penney, and Mervyn’s, landlords are searching for alternative uses. According to Mathrani, the composition of GGP’s mall portfolio has evolved away from apparel over the last five years. “The non-traditional retail uses of entertainment, restaurants, car showrooms, fitness and grocery have increasingly become a large part of our business” he said. While apparel accounted for 43% of new leases for GGP in 2013, it currently only accounts for 25%. One of the more interesting trends recently has been the emergence of supermarkets in regional malls, a trend that is expected to continue. The addition of a supermarket increases the frequency of visits to the mall, which the landlord hopes will benefit neighboring retailers. While many landlords looked to fitness centers and movie theatres as a last resort to fill space in the past, both uses are among the fastest growing in regional malls as landlords look to fill vacant space given that the experiences are not ones that can be done online. LA Fitness, 24-Hour Fitness, YouFit, and Planet Fitness are all expanding aggressively opening new gyms in 2017.